So easy, so healthy and so much fun! 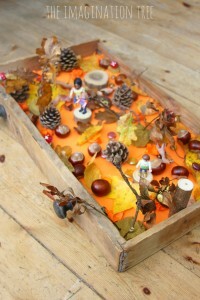 Spend 15 minutes taking a walk outside and turn it into a mini-adventure, whatever the weather! 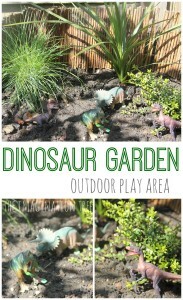 Depending on where you live in the world here are some different ideas of ways you can make your outside time into a fun play time! 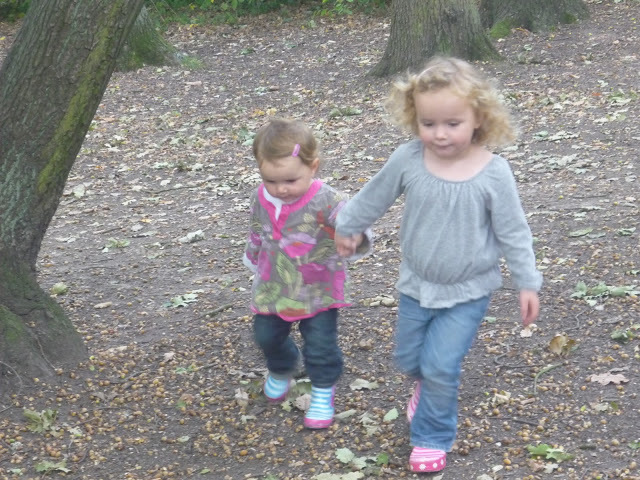 Taking a sisterly stroll in the woods! go on a hunt for a certain colour/ shape of flower. How many can you collect? can you bring them back to make a flower collage? look for bugs under rocks and logs. Take a magnifying glass to examine them closely! 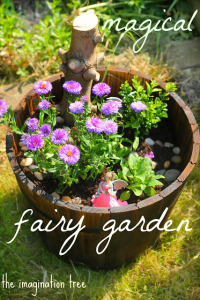 search for fairies/ elves under branches and in hidey holes in trees! make or find a pile of leaves and jump in it! throw and kick leaves and go searching for the crunchiest one possible! If it’s already snowing where you live! take a spray bottle filled with diluted paint in water and make snow art! do some drawings with pens then take them out to watch the rain make them into watercolours! There’s no such thing as bad weather- just inappropriate clothing! Wrap up, get on those waterproofs and get out there. We really can’t wait to hear what you get up to! Be sure to sign up to receive these challenges directly in your email inbox each morning! 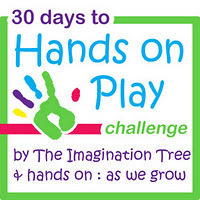 Tomorrow hands on: as we grow will have the challenge for day 12! 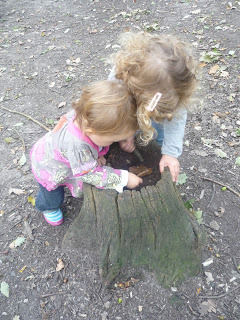 Brilliant – we went out on Tuesday, Wednesday and Thursday J loved it and T even had a crawl around the leaf litter and apart from not liking the taste of the leaves she had loads of fun. Your girls are really getting big—-what a beautiful picture of them walking together. Your right, there is no excuse for not getting outside. We love rain walks here. Thank you Anna! We haven’t gotten outside in a couple weeks since its getting colder now! And we need to! Definitely will be doing this today! We’ll share how it goes! 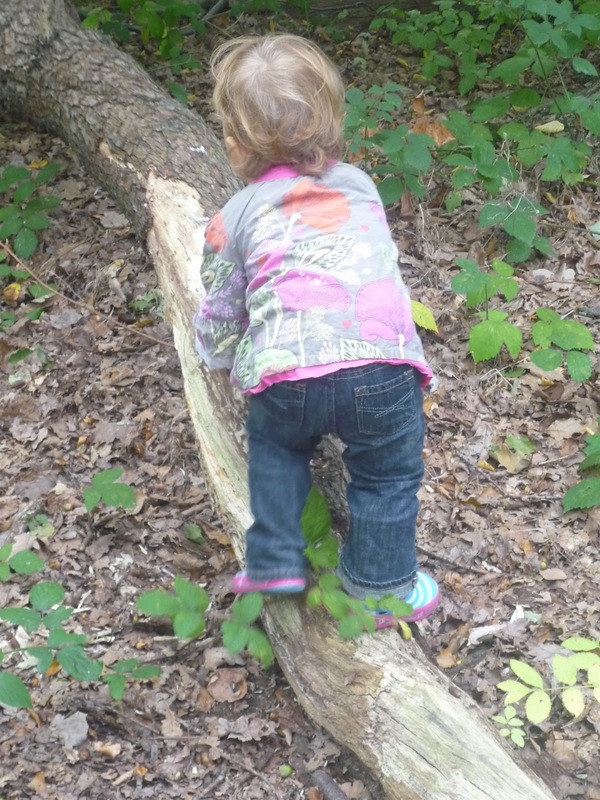 My kids LOVE climbing on tree trunks… and jumping on leaves and in puddles… perfect! I am what you call indoorsy! I need a push to go out when the weather isn’t optimal. Kids never seem to mind! I’m probably the same by nature Laura! But when we do get out i’m always glad we did. And they learn so much from it. But I get ya! 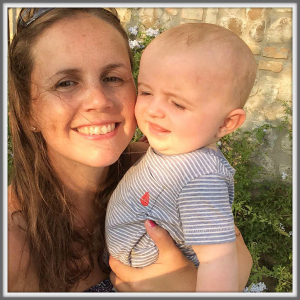 Lovely post…you have been inspiring me this week to get outside with my twins (been into your archives! )and we had fun with fingerpainting, spaghetti painting and nature walks too. 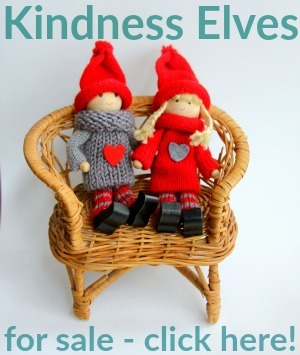 Timely post for me as it is raining today…will try to get outside anyway! !My girls live for outside time at the moment! We headed outside today and had a blast eve though its quite chilly here. Thanks for the fun challenges. Great challenge! 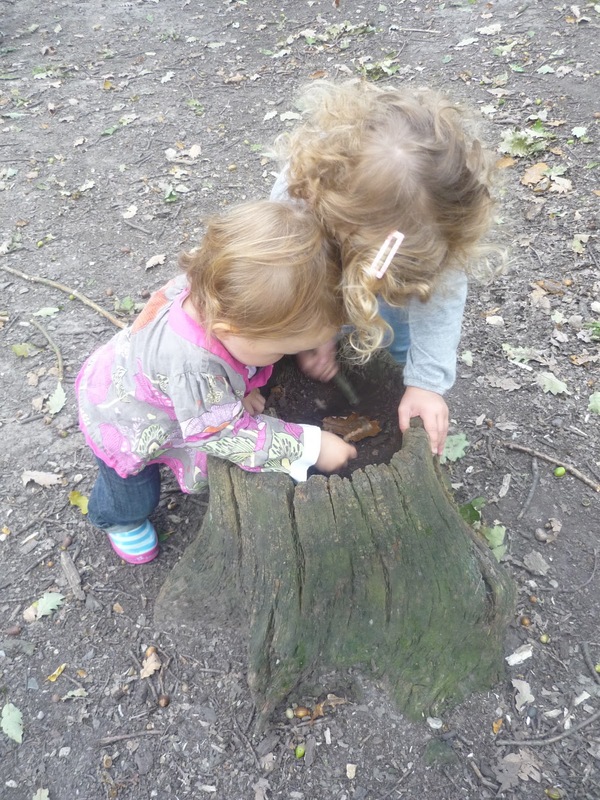 We collected a wonderful selection of natural items and built some VERY detailed sand castles in the sand box! FUN! Thanks for linking this up with us at the Outdoor Play Party, Anna! We love to take little nature exploration walks like this – there’s always something interesting to find, even if it’s just in the garden. 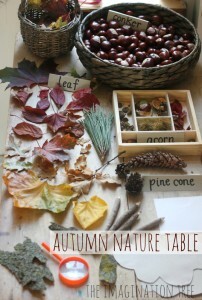 Love how you break it down for all the different seasons! That is so great and helpful for moms trying to get their kids outside. 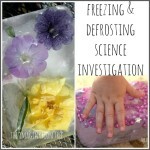 Thanks for linking this up to the outdoor play party! Loved your post – particularly the point about there being no such thing as bad weather, just inappropriate clothing. Kids don’t seem to mind the rain at all – and puddles can be fun at any age when you’re kitted out in waterproofs and wellies.